I started blogging with two purpose. Two :to rediscover my self from the mess I was becoming.It was a match made in heaven.When God takes away something he gives much more back,Being a mommy bound me physically and emotionally to my daughter .But it also helped my mind fly. Seeing her never giving up ,reinforces my belief in the human spirit. So how do I keep the woman in me alive. This is top secret . But I am sharing with you today. Amrita if not for Abhijit ,there’s few who can manage you? That’s something I believe too.Little girls and women all want to have fun .When I became a mommy it was the beginning of the most magical adventure.A second chance of enjoying a carefree childhood .But it did mean cutting those coffee dates off the calendar.It also meant juggling a lot.While keeping the balls up the focus was so much on keeping them up, than on remembering what they meant to me. As a mom I am the heart and soul of our home.Travelling from one city to another working and taking care of everything makes spring cleaning the soul least important .But last year something happened. I went through a lot of downs to realize ,I should not waste one second regretting .The only thing I should do, is to say thank you and focus inside.Whats happening inside me as a woman, keeps me happy as a wife ,mom ,doctor! When things get rough ,take a step back. That’s exactly what I did.Which battle is worth fighting for I realized as a woman I needed to get my act together .I have always been social .But as time passes I am selectively social.Life is too short to waste on things and people who don’t appreciate you .Its okay to have differing opinions.Agreeing to disagree and still being friends is a fine art. As a woman I have realized I need to shop occasionally for pretty stuff to keep me happy.I even window shop online.The best part no one looks at you strangely.Worst part ,you get upteen mails from the ecommerce site . So is my nonstop chatting with support system online.We gravitate toward people who have similar ethics and dreams.Making new friends and catching up with old ones are an integral part of my happy me. Looking good and feeling good go hand in hand.Its important you look at the mirror every morning and say you look beautiful and believe it.Until you believe no one else will. I enjoy dressing up .My daughter looks apprehensive when I tell her I am wearing a saree.She thinks it makes us late for parties!Children they will think the strangest things. I never stop self care.This part of the world has limited access to beauty parlour ,The ones there are I am afraid to step into.But I definitely take time to oil my hair and use the kitchen stuff to take good care for my skin and hair.Healthy body and mind is a beautiful me .That’s why I focus on eating healthy,exercising and practicing mindfulness my way. On days when I feel sad for unknown reasons I put on lipstick at home while cooking,I feel like in a KJO movie.It helps. I read to keep my brain happy .When I started reading I found a lifelong friend in my books.Whenever I go on book buying sprees,that’s when I remember the childhood experiences .I just need my rocking chair my bottle of water and a good book. !Heaven on earth! I love exploring the creative side of me which comes from keeping the woman in me alive .I insist on enjoying time with my husband everyday. Even if it’s 2 hours at night after baby sleeps. I support women .That’s why I started the mompreneurs blogging journey and #MondayMommyMoments.Helping other women ,is the best way to thank God everyday for making me a woman.How else could I have it all? We are celebrating women on our blogs all this month .What are you doing to support women ? How do you keep the woman in you alive? Preethi is a blogger and a published author .I have written about her here,She has been a favourite both #MondayMommyMoments and #ThankfulThursdays. Our Supermom for February is Dipika.How do we choose our supermom?Busy mommies who write,read,comment and share other posts in the linky sincerely are our favourites.Our blogs are our online homes .We invite and welcome everyone with an authentic and sincere voice.Someone who tries ,despite all the ups and downs ,when moms write ,its cause for celebration! Ex- AML banker, MBA in marketing, voracious reader and now a budding blogger. Prompts will be announced every Sunday at 20.00 hrs IST.Linky opens till Saturday 23.55 hours.We always visit the blogs and promote them as much as possible.It’s like your own blog promo.Whats not to love? 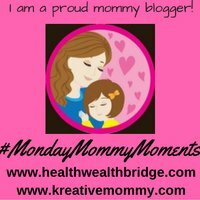 Blog hops are a great way to advertise your brand and content.In our #Monday MommyMoments we want our moms to get the full benefit of this linky.But for that you need to follow the rules.Happy writing and sharing. Thank you so much for selecting me. I saw this only now. Loved how you are keeping the woman in you alive after becoming a mommy. I agree, our kids do make us realize the never-give-up attitude of the human spirit. I love to read your posts, they always take me trance where i could just relax and imagine the best of me…. a great post Amrita. Amrita, you have proved again that your posts are simply the best. I totally agree with you in spending quality time with your hubby. This is a home therapy for all days,good as well as bad. So many points convey my message too. Thanks Geethica .So glad you liked it! Great read. Very real and inspiring to love the simple things. I agree on the buy something pretty to keep you happy. Sometimes I just need to dress up and feel good. True that.Thank you for reading. I absolutely love this post ! It is so true about focusing on being grateful in order to realize how beautiful life really is! I look forward to following your blog keep them coming! Such a great tip thank you for sharing. This was a really thoughtful post, thank you so much for sharing! I’m currently with my best friend who I’ve known since kindergarten & I wouldn’t want to be with anyone else. Happy that you have chosen your partner wisely. Self love is more important for evry woman, I think so. Enjoyed reading your post Amrita. And first of all thanks for mentioning me. I agree its important to feel good about yourself to make others happy. Friends surely keep us young and happy. We should invest in good friends and keep positive people around us.